Garden to table organic home cuisine. My garden is composed of all organic and heirloom variety plants. The few veggies, eggs and the meats I buy are organic, pasture raised and or grass fed. I feel this is the most ethical and nutritious choice for my family and the planet. 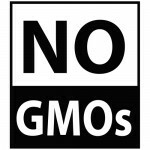 I DO NOT plant or buy anything genetically modified. Comments Off on Real food hot chocolate topped with real food vanilla bean marshmallows!! Real food hot chocolate topped with real food vanilla bean marshmallows!! Ingredients: 1 small pitted chopped peach 1/2 -1 cup chopped watermelon 2-3 strawberries 4 raspberries 1/4 cup blueberries Juice of 3-4 oranges plus a few slices 3 cups red wine, I prefer Cabernet 1-3 cups mineral water Instructions: Muddle the fruit well and add wine. Let sit for a couple hours and strain. I use a nut milk bag, small strainer or cheesecloth. Add mineral water to taste….